Everyone’s been talking about how “hot” the new Samsung Galaxy S III is, and it looks like the phrase has now been taken literally. 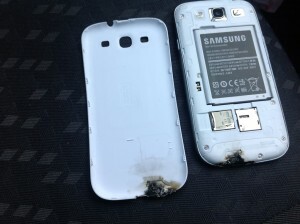 While I go hide in a corner for the shameless pun use, read on to learn about the GS3 that caught fire for one user. It looks as though the Global HSPA+ GS3 malfunctioned while in a car holster. 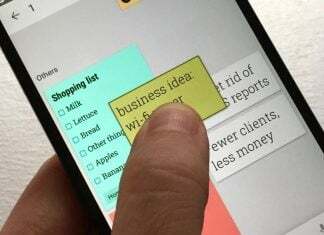 The malfunction caused melting and burns across the lower half of the phone. 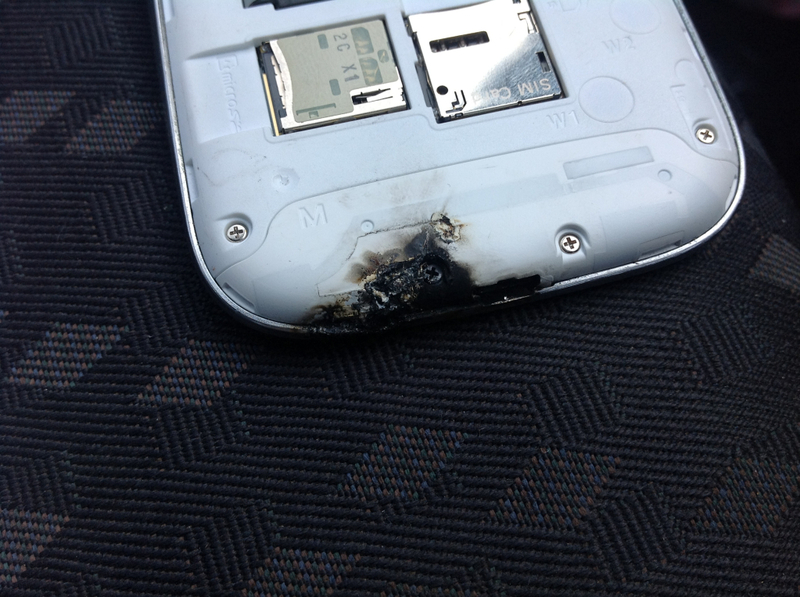 All damage on the outside casing was around the charging port and base of the device. The user, dillo2k10, was unharmed, but nonetheless took his device to Carphone Warehouse for repairs. So, dear readers, if you have a Galaxy S III, take this word of caution: keep an eye on your device temperature. If it seems to be getting too hot, we recommend a quick battery pull, let it sit for a few minutes, and then boot back up. 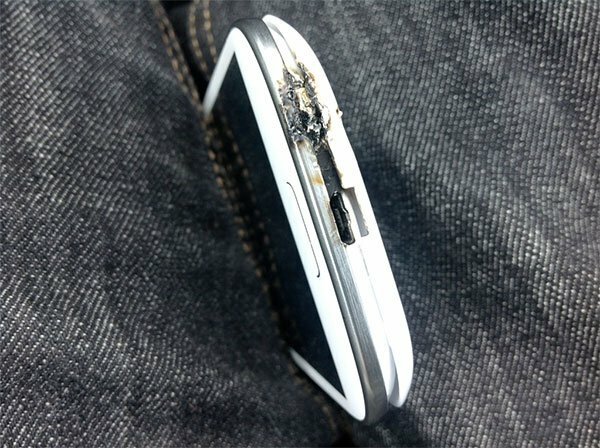 Be sure to let us know if anything similar has happened to you SGS3 users in the comments.